Ümit Horzum, a former public servant who was removed from his job at Turkish Accreditation Agency (TURKAK) in a government’s post-coup emergency decree, has been missing for 111 days while his wife has found his car abandoned with a deflated tire in Ankara. 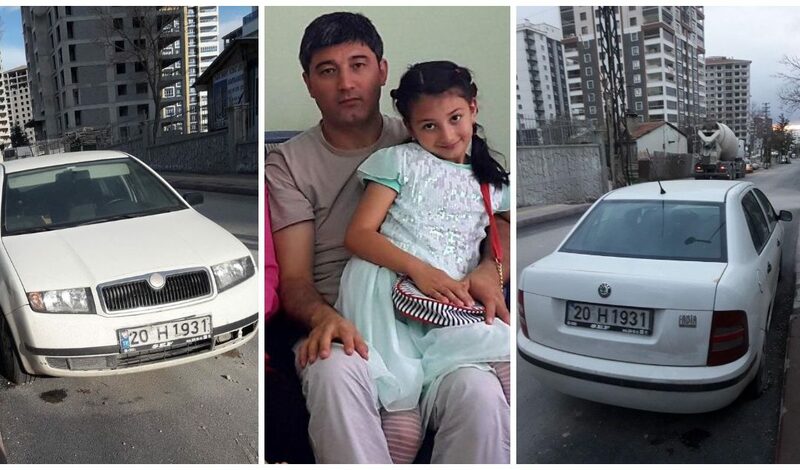 “WITH MY OWN EFFORTS, I found my husband’s car with one of its tires deflated …near Yildiz Park in Altındağ/Ankara, at around 4.30 pm on March 24, 2018, 109 days after the incident, The Horzum Family, a Twitter account believed to be controlled by Umit’s wife tweeted on Monday. According to his own record, she requested help from authorities several times, to no avail. Then, she started to collect evidence regarding the abduction. But, what she found was that security footage from a gas station where Ümit filled up his car’s tank a day before being abducted was deleted, according to her tweets. Mrs Horzum said he has so far managed to obtain a receipt of his last gas purchase and his car. When she found the car however, police repeatedly asked her how she found it. At least twelve people were alleged have been abducted so far. The abductions in 11 cases took place in 2017, according to a report by the Human Rights Association (İHD) and the Human Rights Foundation of Turkey (TİHV). Previously, three teachers, a lawyer, a university employee, two intelligence agency officials, an Information and Communication Technologies Authority (BTİK) employee, a Competition Authority employee and an agricultural engineer have been reported while one of the teachers was handed over by unidentified men to police after spending 42 days out of sight. Also, an Ankara man named Sunay Elmas is reported to have been abducted, but this particular case took place on Jan. 27, 2016. Those not seen for quite some time mostly have in common in their personal histories that they have lost their jobs amid a sweeping crackdown that the Turkish government has conducted against its critics, particularly members of the Gülen movement. Turkish government holds the Gulen movement responsible for the July 15, 2016 coup attempt while the latter denies involvement. More than 150,000 people have been detained over ties to the movement in Turkey so far. Meanwhile, President Recep Tayyip Erdogan earlier called on foreign governments to punish Gulen followers in their own countries. In May Saudi Arabia, Malaysia, Georgia and Myanmar handed over academics, businessmen and school principals upon the Turkish government’s request despite the fact that some of those victims already had refugee status with the United Nations.